Italian sculptor and goldsmith. 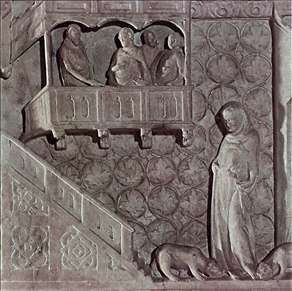 He is documented in Siena, Massa Marittima and Messina. 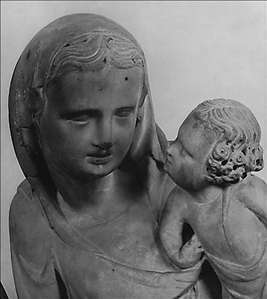 He was the son of Goro di Guccio Ciuti (d before 1311), a Florentine sculptor who, with Lapo and Donato, assistants of Nicola Pisano, was granted citizenship in Siena in 1271. Goro di Guccio Ciutis sons Neri and Ambrogio, of whom nothing further is known, followed in their fathers footsteps, as did Goro. 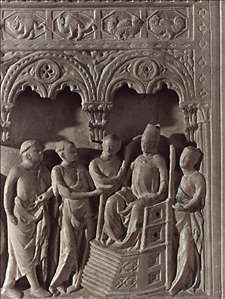 His main work is the reliquary of S. Cerbone (1324) in the cathedral of Massa Marittima. 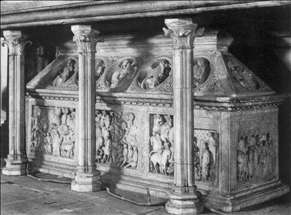 See more details about "Tomb of St Cerbone"
See more details about "St Cerbone Being Thrown to the Bears "
See more details about "Arrival of the Ambassadors from Rome"
See more details about "Madonna of the Crippled "